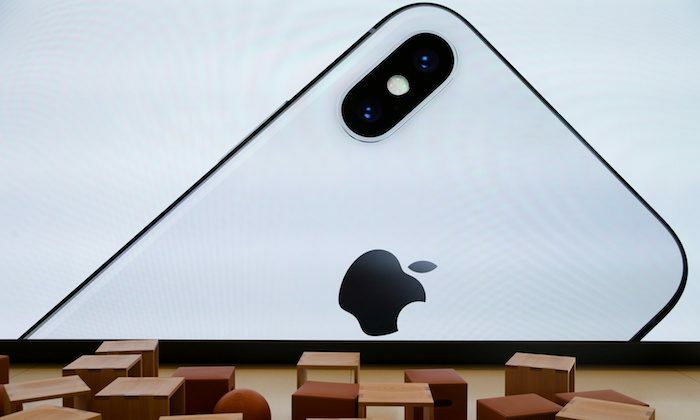 SAN FRANCISCO—Apple’s top retailing executive is stepping down amid a slowdown in iPhone sales that has raised doubts about the company’s future growth prospects. The shake-up announced Feb. 5 ends Angela Ahrendts’ five-year stint overseeing Apple’s 506 retail stores and e-commerce operations. She is being replaced by Deirdre O’Brien, a longtime Apple executive who also runs the company’s human-resources department. Ahrendts will remain with Apple until April. While at Apple, Ahrendts engineered renovations of high-profiles stores in San Francisco, New York, Chicago, and other cities in an attempt to transform them into hip places to hang out while shoppers checked out the company’s latest innovations. Her lofty description of the stores as the equivalent of “town squares” became the subject of derision among some analysts and media commentators.